ClickaSkip supplies residential skip hire throughout the country. By entering your full postcode into our location finder we are able to offer you an instant quotation specific to your requirements. Ideal for the waste that is just too big or too dirty to take to the recycling centre in your car. Our smallest skip. An open 4 cubic yard skip for general use. Easy to position on the driveway and convenient to load with a 3′ (0.91m) height. Any waste, heavy or light. 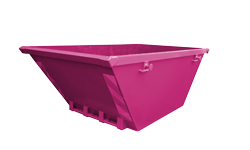 A standard builders skip, the most popular size. Any waste, heavy or light. Same footprint as a standard builders skip, but higher capacity. For mainly light waste, similar footprint to a builders skip, but much higher capacity. Light waste only, not soil or rubble. Twice the capacity of a low end standard builders skip but with the same footprint. Need help choosing a Skip? 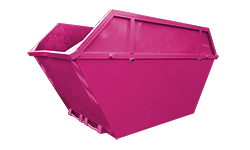 We know that choosing the right skip size to suit your project can be difficult. Often, you do not know how much waste you will be creating before you start. 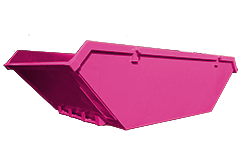 Skips come in a range of sizes from mini skips that take 15-20 full black bin sacks up to 14 yards skips which are twice the size of a small hatchback car. 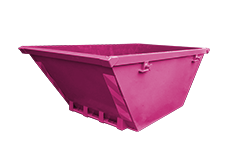 Typically, skips are measured in cubic yards, which also makes it harder to visualise how much the skip will hold. Our skip chooser tool will guide you through the various sizes and give you a much better visual idea of what you might need. 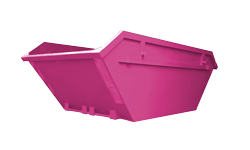 Measurements are provided in both imperial and metric measurements, with examples of skip contents to help you to choose the correct skip size.